It never fails to amaze me how some people have the time and motivation to scrutinise the physical appearance of others. And yet such apparently bored individuals never seem to have the time to say, learn another language or commit themselves to a charitable cause. Interesting. Sadly, no matter how funny or relatable a person may come across on TV, their body is still seen as fair game for cruel and damaging comments. 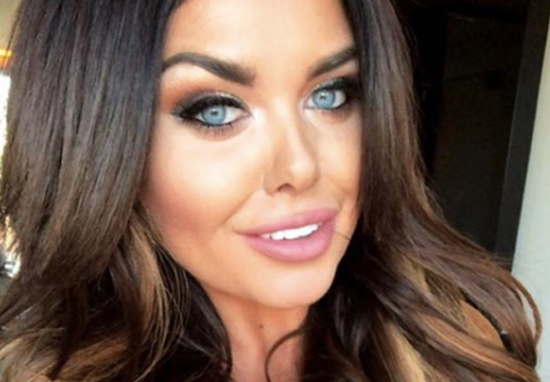 Gogglebox royalty Scarlett Moffatt appeared on Love Island: Aftersun to chat about the goings on in the villa. However, some people just couldn’t stop making personal remarks about her figure. 27-year-old Scarlett experienced the sort of wardrobe malfunction all girls have suffered at some point on a night out, where the front of your bra is a bit visible in a low cut dress. Coupled with jibes about her weight, trolls used this minor slip to torment the likeable presenter, reducing her to tears. I’m honestly ashamed of some people on here. Hard to pretend I’m ok and be a good role model to others about how it’s ok to just you when the comments from grown adults on here have resulted in me crying my eyes out! I hope you’re very proud of yourselves. Feel like I need to speak out for others!! This is not fair this needs to stop!! Please to the people out there who aren’t loving themselves right now please don’t let other people stop you from doing what you love. Real beauty shines from within. True fans have rushed to Scarlett’s defence, with many pointing out the hypocrisy of those who preach about mental health while continuing to bully others. Others shared their own experiences of online harassment. People are disgusting! I’ve had death threats all weekend for something I wasn’t even responsible for!? Society has gone mad. Shut down the internet. You’ve gone from sitting in your chair watching your idols on Gogglebox to winning the jungle to appearing on Saturday night takeaway and being an idol yourself. These people won’t have that in their lifetime. I think you are brilliant and fabulous. People are disgusting! I've had death threats all weekend for something I wasn't even responsible for!? Society has gone mad. Shut down the internet ? As a 41 year old woman, 2 years into a paralysed face and nasty comments made daily In my direction – my advice to you beautiful is – shine on, people who think it's OK to rip people apart are obviously perfect themselves – we all know that's not true! Omg I would have never thought that. I think you were the best thing on goggle box ever. You & your lot are proper mint. You've gone from sitting in your chair watching your idols on Gogglebox to winning the jungle to appearing on Saturday night takeaway and being an idol yourself. These people won't have that in their lifetime. I think you are brilliant and fabulous. We often talk about the harmful effects of advertising campaigns on how people feel about their bodies. However, a single comment or sarcastic remark can be just as damaging to someone’s health. YMCA’s research found that more than half of 11 to 16-year-olds have been bullied about their appearance and for those that were bullied a quarter experienced this online. Social media should not be a playground for bullies and trolls to entertain themselves. Twitter, Facebook and Instagram aren’t doing enough to stop it which means it’s down to the rest of us to challenge bullying when we see it. Hopefully Scarlett’s honesty will hit home with least some trolls, forcing them to think twice about the person they are hurting before commenting. If you’ve been affected by bullying, and want to speak to someone in confidence, contact Bullying UK (Part of Family Lives) on 0808 800 2222. The helpline service is open 9am – 9pm, Monday to Friday and 10am – 3pm Saturday and Sunday.